Discussion in 'TV on DVD and Blu-ray' started by dana martin, Nov 1, 2018. That's awesome! Thanks for letting us know! I was planning to go to Target anyway! Picked this up today and it's big! It's a VHS style release (with 3 blu-rays and 3 DVDs in it), but it's one of those hard case VHS boxes, like you'd see in a video store back in the 80s. More nice work on the package design. 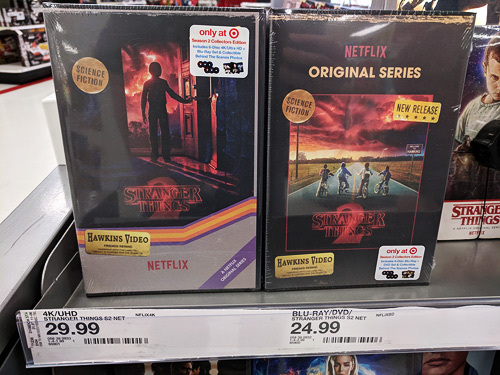 Same packaging as the Season 1 set. Not exactly. Season 1 had a slipcase over a box made to look like a VHS tape, with the discs inside. 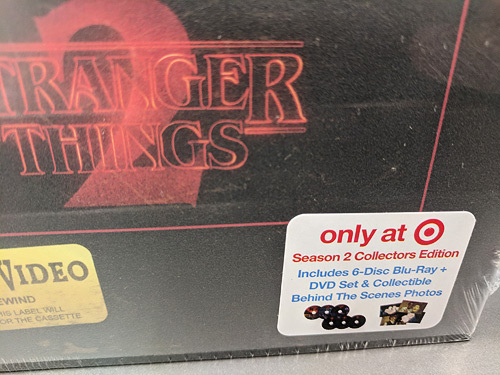 Season 2 is a hard plastic videocassette case, with a paper insert under a plastic window, and inside is a flap made to look like a videocassette, with the discs under it. They're similar, but a nice variation. 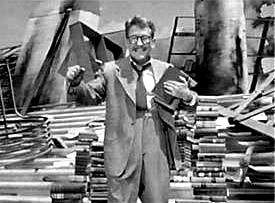 Are there any bonus features on the set? I haven't played the discs yet but I think the only bonus features are prints of photos that appear to have been taken on cameras similar to disposable film cameras. Thanks. I was just curious because Netflix had some interviews with the cast they put on their service and I wasn’t sure if they decided to transfer them to the blu ray. I love that they're doing this, but I'm hoping for a slimmer design sometime down the line. I didn't know this was out, but was at Target yesterday and picked up the BD for $17, or $8 off list price. They also had season 1 BD for $10, but I already had that from the intial release. Season 3 is going to premiere this July. 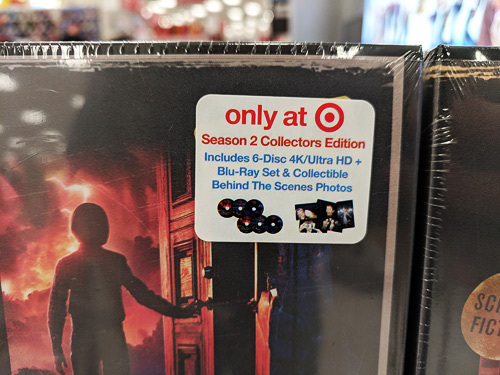 I wonder if October is too soon for Season 3 blu-rays from Target?